This is a paddy field called Kg. 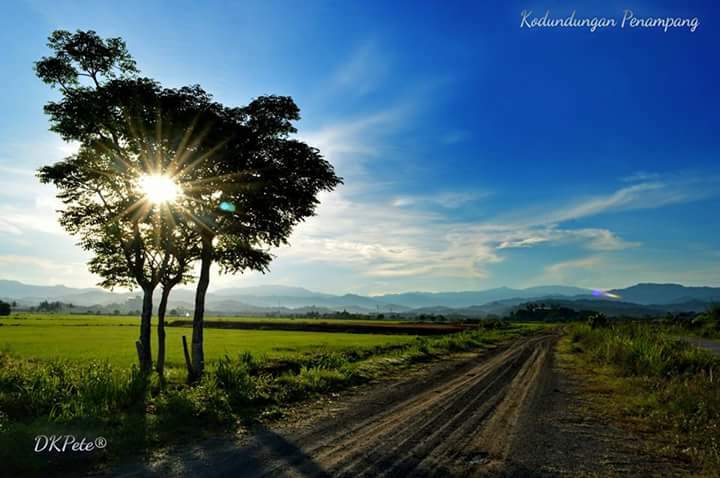 Kodundungan located about 3 km from Donggongon, the town center of Penampang district. Picture was taken a day before the first earthquake in Borneo Island which shaken the West Coast of the states from tremors at Mt.Kinabalu on 5th June 2015, the tallest mountain in South East Asia. Due to the challenging job as a senior manager in one of the biggest organisation and statuary body of Malaysian Government in Kuala Lumpur, flying home to the land below the wind (Sabah) wasn’t easy but whenever I had the chance, this is always one of my favorite destination – “the Last paddy field in Penampang” as I often called it. 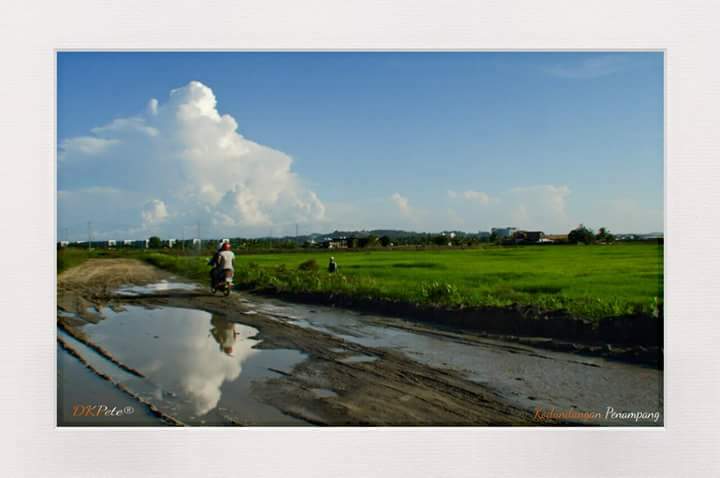 For the past more than 10 years the road to this village is still not fully completed but seeing the morning green landscape of the huge paddy field with good weather and clear white clouds in the blue skies is an amazing experience. Will be posting more pictures of this field in the future.